Thermocouples are temperature sensors that operate by means of two different conductors, joined at their ends. Inside them there is an electrical circuit formed by two metallic conductors of different materials welded together at their ends. In the presence of a temperature difference between the two junctions, one generates a circulating current, so-called electromotive force, in the event that is open one of the two junctions, which is proportional to the temperature difference, and these joints are called the hot junction (also commonly called “joint degree”), directly exposed to the temperature you want to measure and cold junction (or “reference junction”), corresponding to the junction between the wires of the thermocouple and measuring circuit, while the terminals are at room temperature, the potential difference between them is proportional to the difference between the temperature and the ambient temperature to detect . The polarization and intensity of the electromotive force generated depends solely on the type of the two metals forming the thermocouple and the temperature at which they subjected the two joints. For a given temperature, the thermocouple measuring process is necessary that the junction is at a given temperature (usually 0 ° C), so that the current loop generated in (electromotive force) depends solely on the temperature of the hot junction. These parameters depend on the materials from which the thermocouple is made. Thermocouples are temperature sensors with low cost. There are, on the contrary, particular problems or disadvantages in their use, apart from the lack of linearity and low output voltage. The type of thermocouple depends on the materials comprising the conductors, and can be summarized as follows: drive or bulb capillary bulb thermostats), and standard voltage adjustment scale. Commonly used in the presence of oxidizing atmospheres. Unsuitable for use in atmospheres containing vapors of metal. See same characteristics as the thermocouple type “S” linked above, but with different percentages of the two noble metals (platinum and rhodium). Thermocouple-based precious metals (platinum and rhodium), the highest percentage of Rhodium than previous types of “S” and “R” makes the thermocouple type “B” more resistant to high temperatures and mechanical stress. Thermocouple with high thermoelectric power, which brings together the features of the positive pole of the thermocouple type “K” to those of the negative pole of the thermocouple type “J”. Very suitable for use in oxidizing atmospheres. 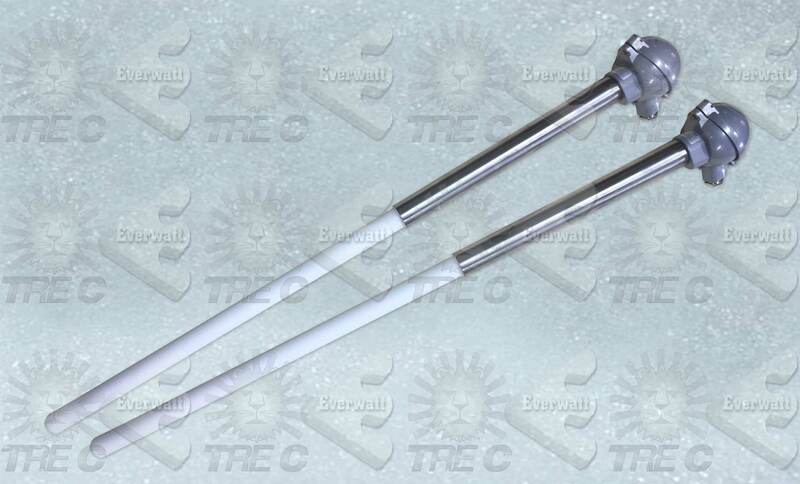 Thermocouple Fe / Co (with positive and negative in the Iron constantan, an alloy or Cu / Ni-based nickel and copper). Particularly suitable for measuring average temperatures in reducing atmospheres containing hydrogen and carbon. The presence of iron in it, will affect the smooth operation in oxidizing atmospheres. Thermocouple-based alloys containing nickel, which makes it particularly suitable for measuring high temperatures in oxidizing atmospheres. IIn contrast, the thermocouple type “K” is used in reducing atmospheres. Thermocouple which allows accurate measurements at low temperatures in oxidizing and reducing atmospheres. Particularly strong in reducing atmospheres and in the presence of hydrogen or other inert gas. In contrast, the thermocouple type “W3” can not be used in air or oxidizing atmospheres. Thermocouple type has characteristics identical to the “W3”, even if it contains a higher percentage of rhenium, which increases the mechanical strength. Measuring junction (or hot junction) is the area where the two thermocouple wires are joined together, since its dimensions are small, we can consider the measure with point-type thermocouples. The execution of this joint must be done in a way that no mechanical stress on the two conductors (especially for thermocouples made of noble metals) as these, once in temperature would affect the proper functioning of the thermocouple. 2)Thermocouple wires: they must be properly sized according to the conditions of employment; same probe can be inserted into two or more thermocouples. 3)Ceramic insulators: they serve to keep the thermocouple wires insulated along the length of the probe with each other and the external sheath. 4) Protective sheath: the aim is to protect the thermocouple wires, in fact, being in direct contact with the process, it is essential that the sheath is the most suitable material and has specific dimensions. Normally made of metal, if the process temperature is very high, it can also be made ​​of ceramic material. In particular conditions, it is appropriate that the sheath is coated with an additional protection that takes the name of the thermowell. 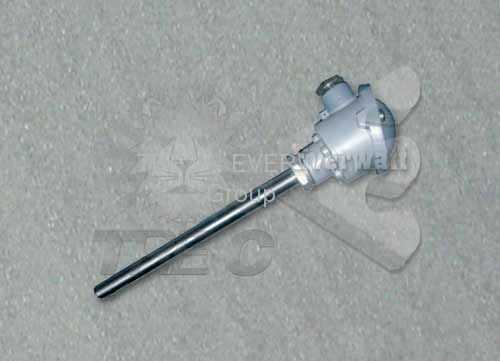 5) Connection head: contains the terminal of insulating material, usually ceramic, which allows the electrical connection of the thermocouple, for use in explosive atmospheres, it is also possible to equip these thermocouples with heads of ATEX Explosion-proof connections. In place of the terminal you can install a converter with 4-20mA. 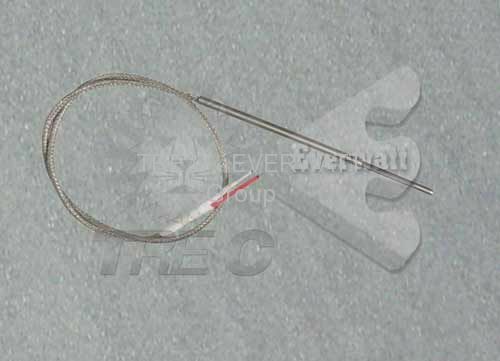 These thermocouples that can achieve high performance and extended operational life, due to excellent technology with which they are constructed and their mechanical properties, also encased in very small (0.5 mm in diameter), but also very long. Their protective sheath can have very tight bend radii. Measuring junction, the two conductors forming the thermocouple are joined in the mineral oxide insulated cable. The hot junction may be insulated, grounded or exposed. Thermocouple wires: in the MgO insulated cable can be two, four or six wires, so the thermocouple can be simple, double or triple. Mineral insulated sheath: it is composed of a metal sheath containing the conductors insulated from each other and the sheath itself, and this is by means of pure metal oxides and highly compressed, standard insulation magnesium oxide MgO. Connection head: contains the terminal of insulating material, usually ceramic, which allows the electrical connection of the thermocouple, use explosion-proof enclosures. for use in explosive atmospheres, it is also possible to equip these thermocouples with heads of ATEX Explosion-proof connections. In place of the terminal you can install a converter with 4-20mA. A standard thermocouple type has a cylindrical shape with a sheath of stainless steel AISI 304 and MgO mineral insulated, suitable for measurement and control with generic cable outlet protected by a sheath of stainless steel spring, can be simple or double, while the joint measurement can be insulated, grounded or exposed. Type of terminals / connection type Standard, Faston, plug-compensated form MGN, shaped plug compensated Standard, with sleeves or with leads of length 7 mm. 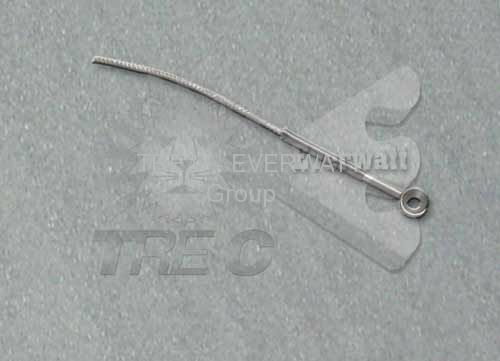 Alternatively, thermocouples can also be used in immersion applications, complete with connection head, for conventional insulation, suitable for measurement and control systems of general with low, medium or high pressure. These models are installed using a threaded sleeve welded directly on the (fixed) or by special joints or flange sliding compression. The electrical connection is made within the connection head through a ceramic terminal block. On request they can be alternatively provided with an analog output 4-20 mA. Our range of thermocouples, provided in support of our wide range of products and accessories in the field of heat treatment of fluids, air and gas, is subjected to the most stringent controls dimensional and electrical tests in accordance with regulations of our Company Quality System ISO 9001:2008 certified and in full compliance with the requirements of current standards IEC / EN. 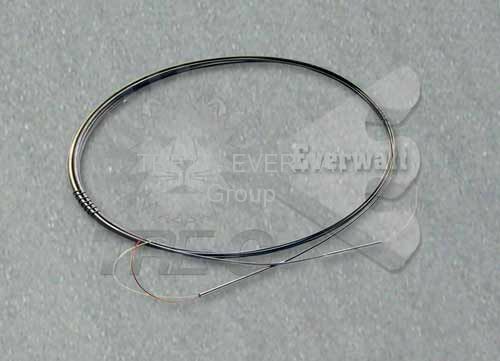 We can supply standard size and type thermocouples (thermocouples and thermocouple wire type “K”, “J”, etc. …), most of which are available in stock for immediate delivery, where there is no need for thermoregulation particularly complex, in addition, we can easily fulfill specific customer requirements, limited to the target application, as to specific size requirements and / or custom finish to order and terms of delivery within approximately four weeks from receipt of order. In support, we offer a wide range of cables for transmitting signals and thermocouples. For a correct temperature measurement, it is essential that the transmission of the voltage signal produced by the thermocouple to the measuring instrument is not altered in any way and for this, this link allows the cable have to have very similar characteristics to those of the thermocouple. Thermocouple cable normally used for the construction of thermocouple sensors, provides all the features of the thermocouple thermoelectric entire temperature range defined by the reference standard adopted (DIN, IEC, ANSI). Extension cable normally used to connect the thermocouple to the measuring instrument, its conductors have the same characteristics and thermoelectric properties of their respective thermocouples within a limited temperature range, in the range 0-200 ° C.
Compensation cable used to connect the thermocouple to the respective measuring instrument, and his conductors have different characteristics than those of the thermocouples which are connected, although it maintains the same thermoelectric properties, with a limited temperature range, typically in the range 0 -100 ° C or 0-150 ° C). Just as an example, we can think of wire compensation for thermocouples with positive lead of copper (Cu) and the negative of copper-nickel alloy (Cu-Ni). Below is shown a table that shows, respectively, by type of extension cords and compensation, the nature of the conductors and the tolerances in accordance with international standards.